“It wasn’t a perfect start. That being said, it wasn’t a bad start either. Far from it. I think “Hyde Jekyll, Me” suffered from the weight of expectation and perhaps pandered to too many demands”. “Unintentional CG hilarity aside, I actually really liked everything else about this first episode, which is a nice surprise given that the premise made me really wary”. “I believe it’ll take a few episodes for Hyde, Jekyll, Me to really showcase what the whole point of the drama is about other than one dude with a split personality. Nothing about the premiere episode stands out other than one dude with split personality”. “It’s really not a good sign when a drama starts out with a dream sequence- and everything following the dream sequence is only barely more coherent. Heo-jin’s mental illness, coupled with his introduction in an outrageously luxurious home, makes “Hyde, Jekyll and I” seem more like science fiction than an actual romantic comedy”. “Multiple personalities, charging gorillas, possible murders, falls from high buildings, missing abs? “. “What’s my take away from episode 1? It was…wait for it…ridiculous…but not in a bad way. I went with it. It did a decent job laying the foundation for our story. It was over the top in certain scenes. So be it, I’m ready to proceed and see what Hyun Bin brings to the next episode!”. “Hyun Bin is looking amazing. I have always enjoyed his acting, but it used to take some time before I would fall for his character since I was not overly attracted to his looks. But obviously he matured well over his four year hiatus since he now looks the part of a man, and not a skinny boy playing grown up!“. “So far the series is better than I thought it would be because it’s not completely predictable”. “So shallow to admit, but those dimples cinched it for me. I knew I would keep watching as long as Hyun Bin gets to flash those adorable grins so I figured I would keep up with the summaries”. ” (…) I felt it was slow and kinda loopy. (…) Too much of support cast, who are either simply in the frame to fawn over or murmur a few lines or to simply give worried looks”. “which DID personality would be so accommodating? so much so that the core personality can actually schedule a 8am/8pm, 12h shift timetable for its alter ego’s appearance…?! Do-hyun’s multipersonae are more classic DID types, than Seo-jin’s”. “Hyun Bin was literally the only good thing about this drama with Sung Joon a distant second but that’s because Sung Joon’s character was a little weird, but I could listen to Sung Joon read a Korean encyclopedia, his voice is beautiful”. “OCN is certainly making their mark for creating high caliber crime dramas with provocative characters with just enough darkness and intensity”. 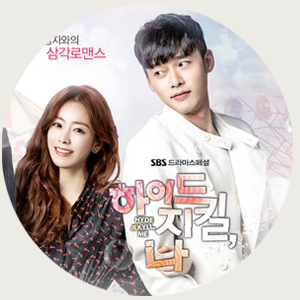 ” (…) it seem like in the end ‘Hyde Jekyll, Me’ is more like a show made to shamelessly promote Lotte World”. “So far the episodes are ok, but it feels like it is missing something. And I don’t know what, yet”. “Although Seo Jin is a rigid character, the stylists manage to squeeze in details that would soften his demeanour. (…) gingham shirt, for instance, or (….) printed tie”. “My first impression about this pilot episode: fun & enjoyable romantic comedy infused with fantasy. The hero is the typical Kdrama hero, cold, jerk, annoying, the one we desperately want to punch him yet we can’t wait to see him gradually transform into a good guy”. ” (…) that no one aside from Hyun Bin’s character is really worth watching right now. It’s mostly a function of cliche and poor writing of the dialog between the leads so far, but I also don’t think Han is doing anything to elevate the character beyond what’s on paper”. “I didn’t think the first two episodes were that engaging. It’s not exactly boring, but it’s not that exciting either. I feel like I’m in between and unsure if the drama will remain that way, or will pick up in intensity”. ” (…) To start off though, the first episode was sort of dull for me. (…) I am sort of mixed feelings about the pace of the drama. It is sort of a tease”. “I am going to keep watching this one even if it takes a bad turn (which I am doubtful it will if I can base the rest of the series off of the first week of episodes). And only half of that has to do with Hyun Bin. Did I mention how happy I am to see Hyun Bin?”. “(…)It’s only been two episodes though, and lots could go wrong. But I really hope this drama doesn’t let me down”. ” Well well well, what do we have here? Let’s just say that Hyde, Jekyll, Me is quite the opposite from Kill Me, Heal Me, even though both dramas focus on dissociative identity disorder”. “‘Hyde, Jekyll and I’ is in murky territory. While its slow progression can give it a very balanced and good story in the long run, it will require better writing skill, abandoning of unnecessary elements and richer characters to get her”. Enter your email address to follow IKurate. Once you confirm below, you will receive an email when a new post is up. If you are here for drama recaps, beware we will put up one single post every time a new show begins and it will be updated with further links to recaps on a regular basis. Unfortunately, you can only find out about the updates by visiting the blog.